Brigitte Mesdag, a member of the Gandhian community the Arche, has been a trainer and facilitator in Relations and Non-Violence for 25 years (positive conflict resolution, listening and communicating, non-violent pedagogy, cooperative games) in which she has a huge experience, not only through the many trainings she has followed but mainly through her lifelong practice of community life. Brigitte teaches in a vivid, enjoyable and very human way, supporting her teachings with dances, movement and games, allying lightness and depth so effectively that her sessions offer an embodied understanding much more than a storage of intellectual knowledge. She opens a unique opportunity to develop our emotional intelligence, gain awareness of our behavioural patterns and deeply experience possibilities of transformation. 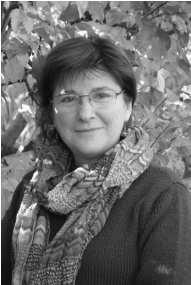 Margalida Reus, born in the Balearic Islands in Spain, holds a Masters degree in Philology specialising in Catalonian Litterature. Throughout her youth she was a political activist and feminist. Since 1982 she chose community life in the Arche (http://www.arche-de-st-antoine.com/ ),one of the first intentional communities in Europe) as a way of deepening her practice in non-violence. For the past 18 years she has been part of the association Bethasda, in which she both works with groups and individuals, accompanying them towards their inner truth through the layers of conditionning that we all carry. Margalida's teachings focus on the understanding that the path towards non-violence cannot be made without a deep questioning of self. This inquiry brings to light our own violence and the ways in which it manifests. Understanding the roots of this violence stops us from falling into the traps of denial and guilt, and opens a path of transformation. 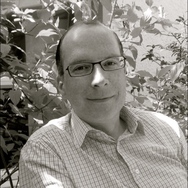 Eric Noyer: I am a singer, a composer, an arranger and a choir leader. Vocal relation and human relation through music have been my passion for over 30 years. I have been a teacher in a nursery school, a music teacher in a Waldorf school, a choir facilitator for disabled children and adults, a trainer for trainers and choir leaders and I regularly lead choirs into giving a performance after four days of rehearsal. My human and musical commitment has allowed me along the years to bring choir singers from all backgrounds to a level of expression far beyond what they could imagine. Presence to self, to others and to the strength of music. Anna Maria Mergaert is a Tantra Teacher and mother of three beautiful young adult sons. She is born in Belgium where she lives in nature. In her quest towards an awakened, passionate and abundant life, she followed many different trainings, tantra included, all over the world. But it is life itself that gave her the greatest teachings. And as the central theme of her life has always been Relationship, Love and Sexuality, she had the opportunity to learn and to heal a lot in those areas, thus making them her work domain. It is her mission to share with people how they can be in relationship in their own authentic way, and how intimacy and sexuality can become deeply fulfilling. She feels and enjoys how she herself goes on expanding in consciousness, love, light and joy. Sister Eleni (“kindness”) and Sr Tao Nghiem (“dawn”) are monastics from the New Hamlet in Plum Village and are coming to Soar to share their practice of mindfulness with us. Plum Village, near Bordeaux in southwest France, is the largest international practice center in the Plum Village tradition founded by Zen Master Thich Nhat Hanh. Plum Village began in 1982 as a small, rustic farmstead, and has today grown into Europe’s largest Buddhist monastery, with over 200 resident monks and nuns, living and practising in four different hamlets spread out across the French countryside. At Plum Village, mindfulness is weaved into all daily activities, and monastics and lay practitioners together train to be mindful throughout the day: while eating, walking, working, or enjoying a cup of tea. Periods of silence, sitting meditation, rest and relaxation alternate with mindful work and play. Every year, Plum Village welcomes thousands of meditation practitioners from all around the world who come to experience the art of mindful communal living. Rob Dreaming is a Facilitator, Mentor and Trainer in the Way of Council. He first came across the practice in a project in Greece in 2002, and is now currently on walkabout supporting visionary, educational and community-based projects by seeding, watering and educating through Way of Council trainings and seminars where called. He also trained with the School of Lost Borders as a Wilderness Fast Guide and has over 17 years experience in facilitating groups, coaching individuals, designing and running trainings in the areas of consciousness and communication, UK and Europe. He uses a supportive range of experience and practice in his work, including ZEGG Forum, Restorative circles, awareness training and dreamwork, acting, movement meditation, and is a published author of several children’s books, artist and performance poet. 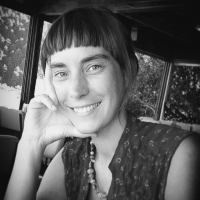 Nina Koevoets has developed her own training course in Nonviolent Conflict Resolution & Activism and Peacebuilding for which she has received financial support of the European Union, and been both a coordinator and trainer. She called her project Towards a Nonviolent World, as had been cooperating with a Dutch NGO to implement the trainings in The Netherlands, since 2015. The curriculum is inspired by a 10 week long program in Nonviolence she attended at the Metta Center (USA, 2009), and the work of Pace e Bene. Currently she is working on a workshop manual“Engaging Nonviolence Activating Nonviolent Change in Our Lives and Our World” for Pace e Bene. She has two master degrees: in Conflict Resolution & Governance (2006-7) and in Global Studies (2011-13). Her internship at the University of Gothenburg was part of a research about the Arab Spring and nonviolent resistance movements in general. Her thesis for Global Studies dealt with the global political network of an eco-village in Portugal, where she also spend several months. Her first thesis was about psycho-social aid in the Occupied Territories of Palestine, where she also did several volunteering projects and European Voluntary Service. She has assisted in a research project in India, and worked as a workshop and inter-faith dialogue facilitator in The Netherlands. Currently she lives in Thessaloniki. 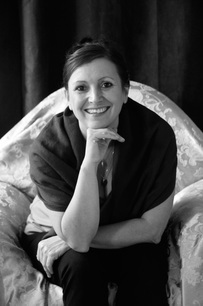 .Gemma Mallol - I first came across Sivananda Yoga in 1998 in Kerala, South India whilst studying Ayurveda. It felt like coming home, the calling was profound. Around the same time a close friend, and my now partner Sid Peckman, undertaking a silent 7 year retreat introduced me to the Buddhist Mindfulness Teachings of Thich Nhat Hanh, the Vietnamese Zen Master; his teacher. I have been training for 5 years to become a Somatic Experiencing Practitioner. I now work in the field of healing trauma particularly with yogis and meditators. During this same period I have been practicing Insight Meditation under Martin Aylward. ​At Soar Gemma will teach a yoga and mindfulness workshop. Frieda Julie Radford - The know-how to lead so-called Sharings (similar to Forum) I acquired as a trainer of Relationships Transformation Workshops (1980-1990) which were based on humanistic psychology (Maslow and Rogers) and developed by R. Hargrove. Part of the 2-year training programme included courses in humanistic psychology at Esalen, USA. Later I was fortunate enough to learn as a participant in the forums developed by D. Duhm as the key tool in his work with the Project Meiga and later with the Tamera Community. At La Massilia, Centre for Eros & Culture on Lanzarote I initiated and ran during the nineties, I presented a variety of courses and events which included regular forums. Today, in my small community in Switzerland I act as the forum leader. Forums form part of a coaching mandate for the steering group of a large Swiss seminar centre. Self-knowledge, humility, humor and intuition characterise a forum leader. An ingrained love of people and the courage to be creative in unforeseen situations are paramount. Rosemarie Anton has been teaching Dansexpressie in Hannover since 1989. At the beginning of her career, she worked primarily with children. Through them, she wished to discover the roots of dance. She hoped that if the code of conduct and fixed forms were dismissed throughout the class, the children would dance without inhibitions, opening the way for their emotions to rise to the surface. Based on these experiences, she expanded her work to all ages. Her objective is to reawaken the childlike joy of dance in adolescents and adults and to accompany and support them through the development of their own personal dance. She works with many different open dance and theatre groups as a choreographer and has gained stage experience as a dancer in various productions. After her longstanding voice work with Robert Harvey and Marita Günther (Roy-Hart-Method), voice has become another aspect included into her work with dance. Ulrik Barfod is an actor and singer. His teaching is based on the methods of the Roy Hart Theater, of which he is one of the 35 certified teachers around the world. The Roy Hart Theater has been pioneering in the realms of voice research for almost a century, now enjoying wide recognition worldwide, both in the fields of the arts and of personal development. Elisabeth Clémentz, is the founder of several centers devoted to the quest of being, and is above all a lover of nature, whether it be human or non human. Alain Liger, actor and director of a theatrical company, has been teaching drama and the art of clowning for the past 18 years. Theatrical Impro - Masculine/Feminine: What does it mean to be born a man, a woman? What images, beliefs are related, consciously or not to my gender, to the other gender? What is my relationship to my manhood, to my womanhood? What is it I am wishing for myself? How can I be true to my deepest desires and needs? We will treat ourselves to a trip throughout this essential dimension, in a playful and creative way, thanks to the meeting with a poetic and colourful character: our own and private clown, with his tenderness, his shyness, his crazy audacities, his incredible gift for laughter. This friendly and gentle guide will enable us to embody and embrace all ages, all genders, all emotions and all states of being, thereby bringing us closer and closer to our true self. 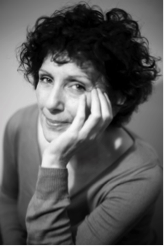 ​Eleni Achilleos is a storyteller, autobiographical storytelling teacher and a facilitator for self-development. She is a graduate of the International School of Storytelling UK. She is particularly interested in exploring the power of stories and the imagination to inspire connection and social transformation. Eleni will help you to mine your memories to communicate more freely and effectively, enhance your personal and professional relationships, and understand yourself better so you can better understand others. Autobiographical Storytelling lies somewhere between traditional story performance and community true-life story sharing. In autobiographical storytelling, the aim is for participants to reflect on memories and life experiences, sometimes in considerable depth, and locate a personal story they wish to share with others. This practice will help you to mine your memories to communicate more freely and effectively, enhance your personal relationships, and understand yourself better so you can better understand others. I am a practitioner, a trainer and an author. As a teacher I feel passionate about developing and educating perception through movement. I have taught and trained young people and adults for over 29 years, in Europe, Canada and Brazil. My purpose is to support each person in building a relation with h/her body that will allow h/her to rely on h/her sensory perception throughout any situation in life, finding balance through a fine tuning of the physical and the psychic fields. This educational, community building and introspective practice teaches how to go with the challenges one encounters and how to develop skills of attention and intention in service of a more fulfilling personal, relational and social life. Developing our Sensory Perception- In order to become truly aware of our needs, to develop a healthy relation to other people and to the world, we need to begin from our relation to ourself. In this approach, our body is the teacher. This workshop literally proposes an initiation, opening new doors of perception. Through an exploration of slow movement, rhythms, breathing, balance, the power of attention and intention, we will discover the grounding, healing properties of the sensory flow. We will work with movement, with stillness and with touch, individually and as a group. Marco G. Steiger - I particularly want to inspire young people on their way to find their passions for their own projects. Early on in my life spiritual development, inner enquiry and new ways of thinking became central. I collected many tools and practices on my path. The way of Dragon Dreaming, founded by John Croft, has especially touched and enriched my life. I have there become a certified trainer and have been present workshops for the past five years. Dragon Dreaming: Today Dragon Dreaming has become an essential tool to master the art of holistic project design intending to manifest a new win-win culture. During the workshops young adults are empowered to identify their strength and capacities and discover their purpose in life. They are supported to find their own answers and expressions to flow into the things they want to do, to practice love in action and to dance with their dragons! Margie Doyle Papadopoulou. I am originally from the USA, but for the past almost 45 years, I have made my home in Greece where I have continued my career as an English teacher and also created a family. I retired many years ago and my children have grown and I now have a granddaughter who is very much a part of my life. During this time I also learned Re-evaluation Counseling here in Athens and it has been an extremely positive aspect of my life. This year I will have my 39th anniversary as a member of Re-evaluation Counseling (RC) and my 30th as the Area Reference Person for RC in Athens. So what is RC? RC is a system of peer counseling. In RC we learned to truly listen to each other and in doing so we finally get to hear ourselves. RC is an approach that assumes that all people are born intelligent and capable of cooperation and kindness. Due to painful experiences that are not given positive attention at the time they occur, we create ways of acting, thinking and in general of coping that are not in our own best interests. As a result, it often becomes difficult to access our natural inclination for cooperation and communication. However, we have a built-in process for healing from our distresses (such as crying, laughing, trembling, yawning). Through this process we can eventually overcome our difficulties and live more and more in the way we want to. Using RC we learn to recognize and deal with the experiences that have injured us as individuals and as members of the various groups that we identify with (gender, race, religion, nationality class). We learn to change the things that have prevented us from functioning as we would like to, to improve our relationships and to act and think clearly, enjoying our lives while contributing positively to the world around us. We have classes where basic theory and practice are taught. The basic work of RC is done in pairs, where two people take turns listening to each other for an equal period of time and by giving good attention we help each other to release those tensions that fuel attitudes and decisions that prevent us from having the lives that we want and deserve. Everyone can gain from RC regardless of age, gender, economic status, social status, religion, physical ability or political views. Robin Rose Bennett is a herbalist and author of two two books, "Healing Magic-A Green Witch Guidebook to Conscious Living", and "The Gift of Healing Herbs- Plant Medicines and Home Remedies for a Vibrantly Healthy Life" .